This privacy notice applies to the All-Party Parliamentary Group on Park Homes (APPG on Park Homes) and is meant to help you understand what data we collect, and what we do with it. The All-Party Parliamentary Group on Park Homes brings together parliamentarians, park homeowners and industry representatives to discuss issues of common interest including legislation and its enforcement to eliminate abuse and disadvantage. 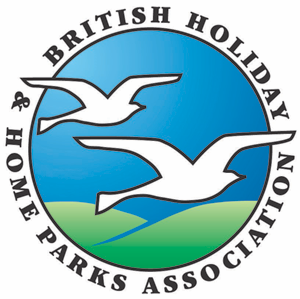 Ros Pritchard OBE, Director General of the British Holiday & Home Parks Association Ltd (BH&HPA) serves as the Public Enquiry Point to the APPG on Park Homes. You have the right to make a complaint at any time to the Information Commissioner’s Office (ICO) (http://www.ico.org.uk/). We would appreciate the chance to deal with your concerns first. The personal data that we collect consists mainly names and contact details of members and stakeholders of the of the APPG on park homes and any other information necessary for the function of the APPG. to notify you about changes to the All-Party Parliamentary Group on Park Homes. An important part of our work is communicating with you, telling you about our activities. To do so, we use personal information to keep in touch. Personal information is held on our servers. Access is restricted through the use of passwords. Records may be retrieved, consulted, adapted, modified, copied or deleted from time to time. We will endeavour to take all reasonable steps to keep all data accurate and up to date but we rely upon you to inform us of any material changes. Service providers for IT and system administration. Necessary for our legitimate interests (using your data as we have described in this notice). Our professional advisers including lawyers. Necessary for our legitimate interests (complying with our legal obligations). Government bodies that require us to report processing activities and other authorities. Necessary for our legitimate interests (complying with our legal obligations). You can ask us about the retention periods for different aspects of your personal data by contacting appg@bhhpa.org.uk.